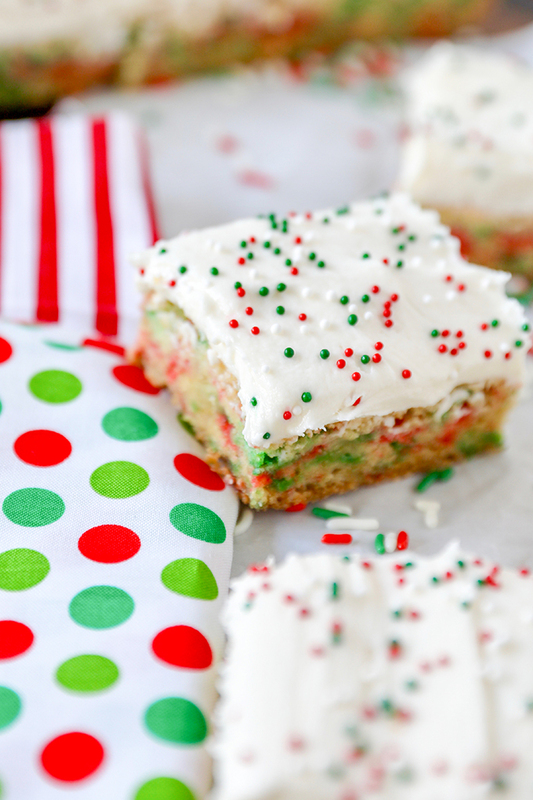 These Christmas Sugar Cookie Bars are perfect for holiday baking! 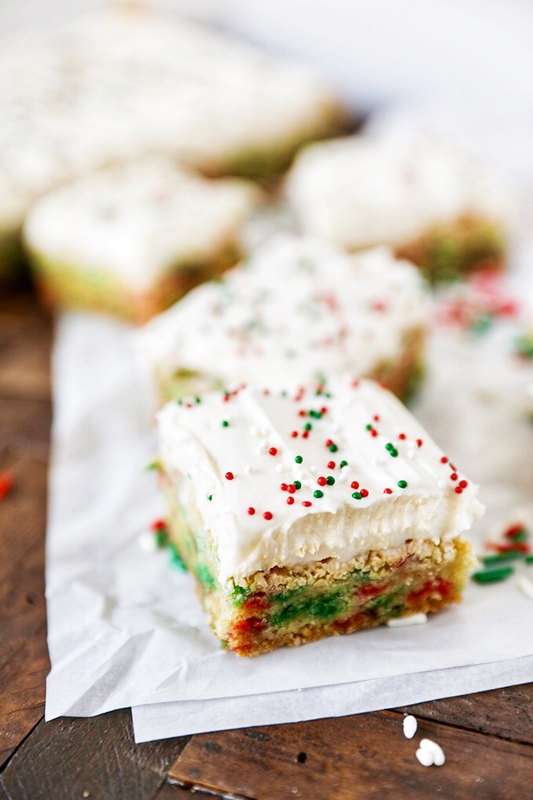 Frosted with homemade buttercream and packed with festive Christmas sprinkles, these sugar cookies bars are great for gift giving or serving a crowd. 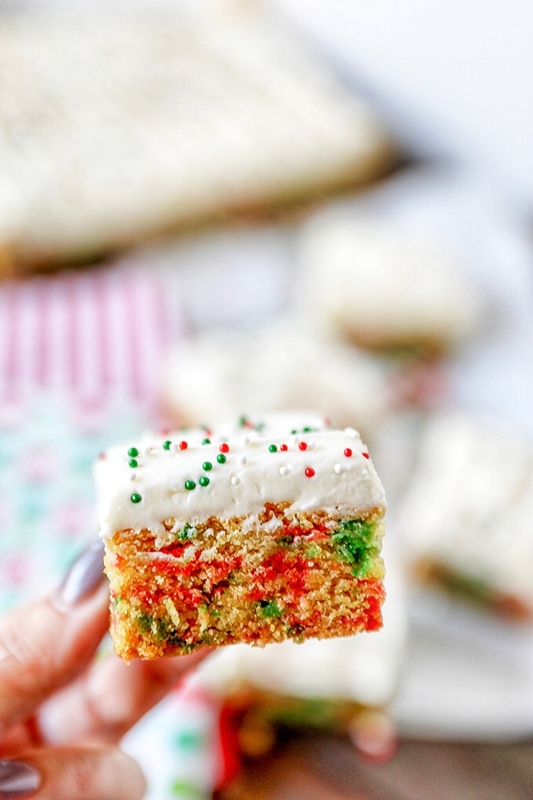 These sugar cookie bars are adapted from my super popular M&M’S Christmas Cookie Bars and are just as delicious. There is something about frosted sugar cookies that immediately sets the mood for the holidays. 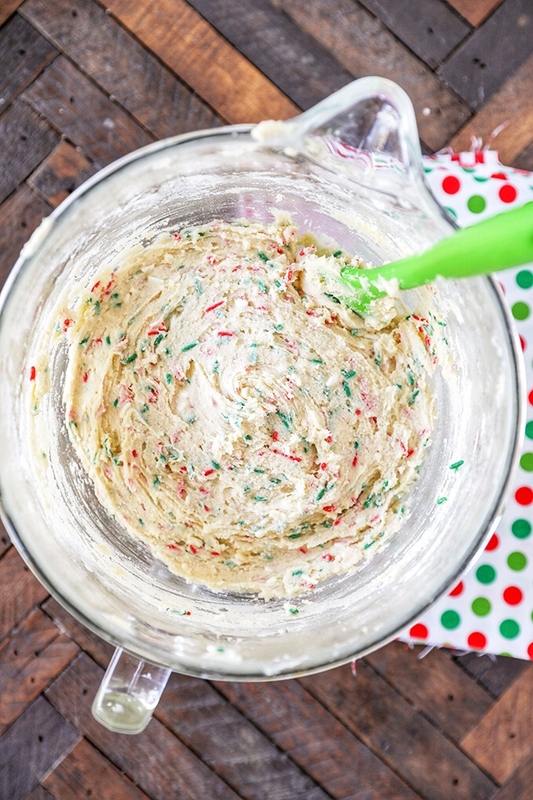 Start by mixing the sugar cookie dough in a stand mixer. 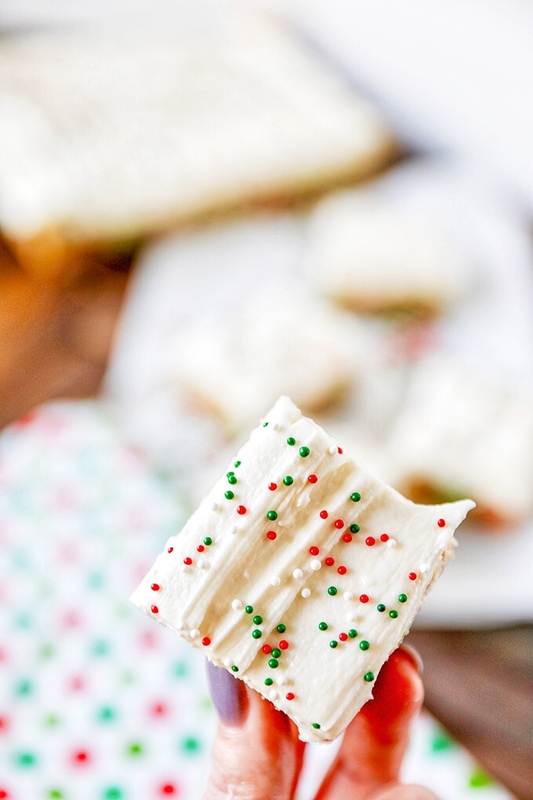 Then add a cup of Christmas color sprinkles, not nonpareils. 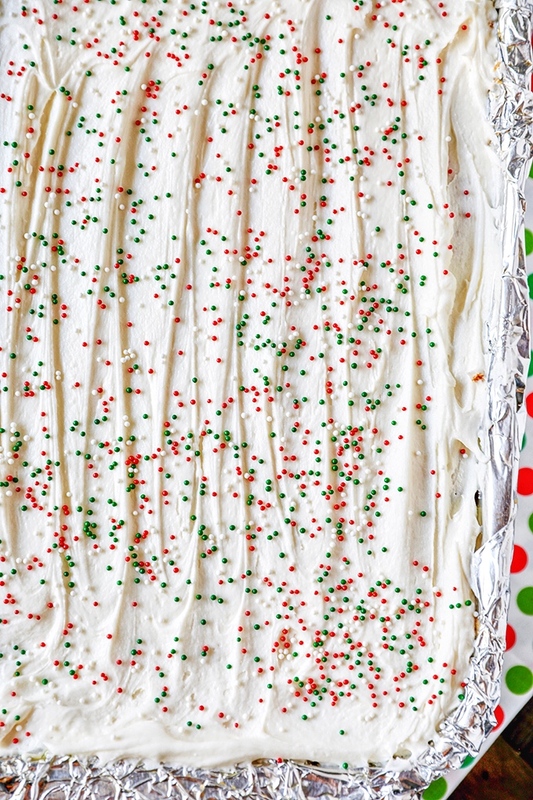 Save the nonpareils for sprinkling on top of the frosting. If you mix them into the sugar cookie dough, they will run and make the cookie dough a muddy brown color. Line a 9×13 glass baking dish with foil and spray with non-stick cooking spray. Once they have cooled and been frosted, this will allow you to easily remove the entire pan and cookie bars and slice them evenly. Transfer the cookie dough to the baking pan. The dough should be thick. Bake for 35 minutes, until edges are golden brown and middle is just set. Do not over bake, cookie bars will continue to cook as they cool. 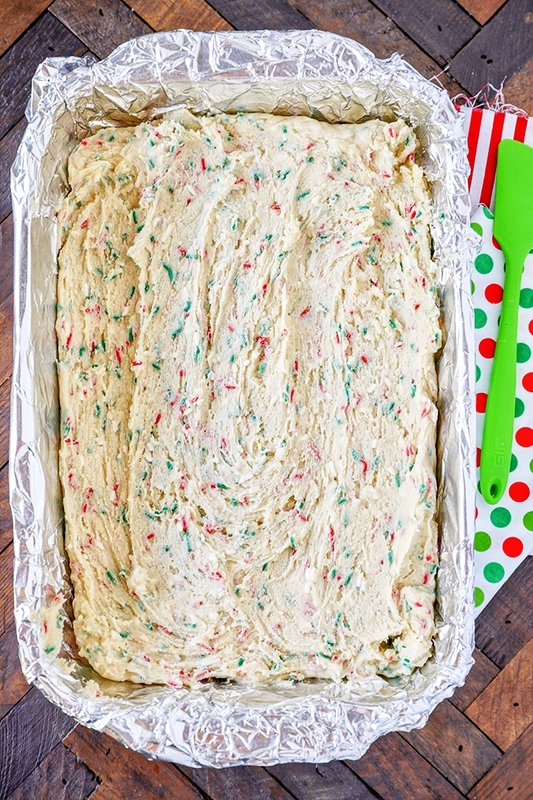 Once the cookie bars are completely cooled, prepare the buttercream frosting. 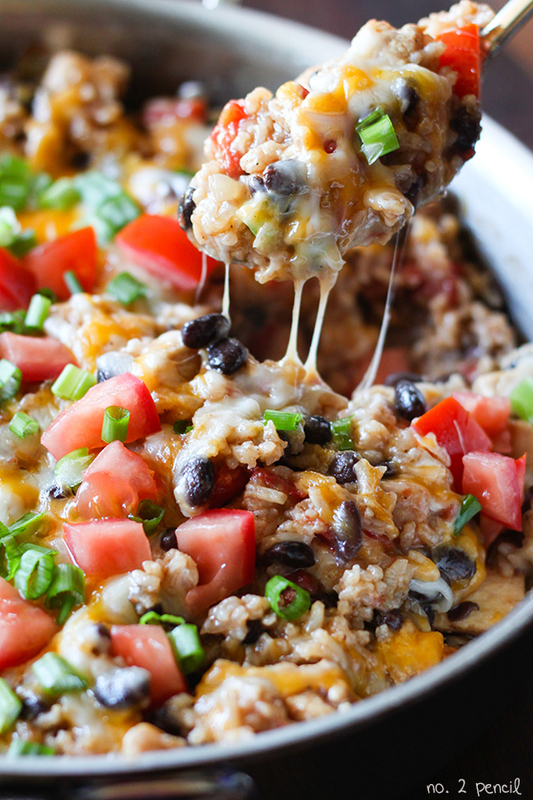 You can hurry the cooling process along by placing the pan in the refrigerator or freezer once they have cooled for about 30 minutes. 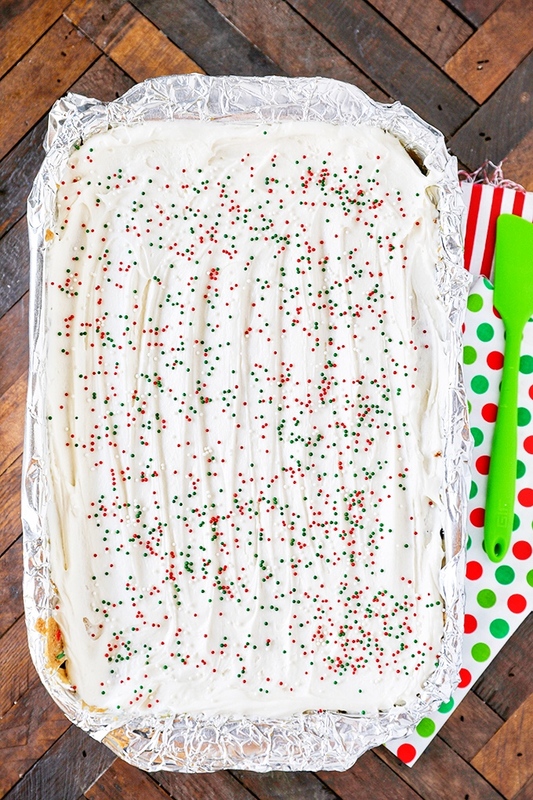 I like to use nonpareils on these Christmas Sugar Cookie Bars, but you can also use the same sprinkles you added to the sugar cookie dough. 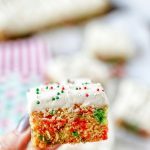 These Christmas Sugar Cookie Bars are so easy to make, and can be cut into any size depending on how many you want to serve. 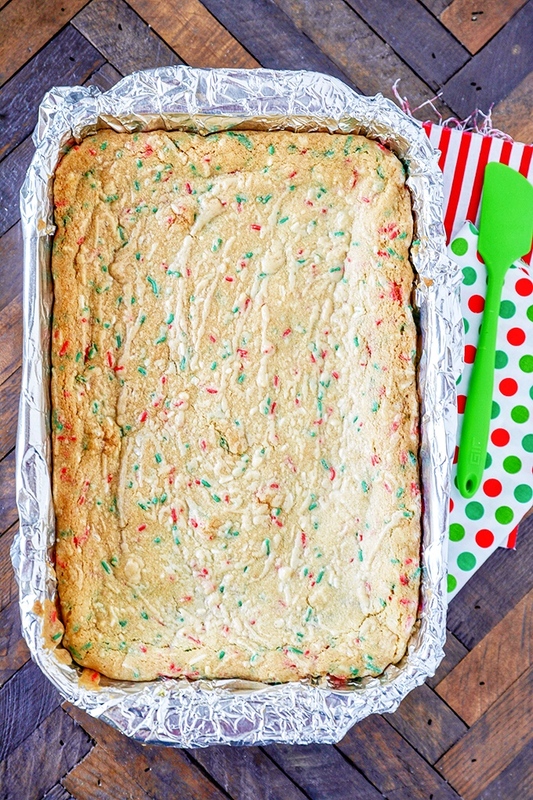 This recipe makes an entire 9×13 pan of sugar cookie bars. In the bowl of a stand mixer with paddle attachment, beat butter and sugar together until fluffy. Add sprinkles and give a final stir. In the bowl of a stand mixer, combine butter and powdered sugar. Add vanilla and and salt and mix until well combined. Slowly mix in heavy cream, adjusting amount as needed.